Free job hunting audio podcasts from seasoned job search coaches. 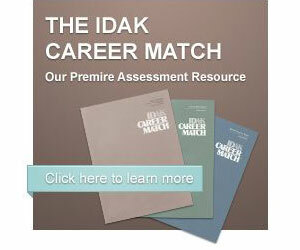 IDAK Career Match searches 60,000 career options which fit your strengths. Copyright © 2019 IDAK Group - All rights reserved.